There is a sense of great opportunity and hope that a new world can be built in which social and economic progress, environmental protection and better standards of living can be realized through global solidarity and cooperation. Nowhere can these goals be better demonstrated than through the quality of living conditions in our settlements…We are committed to a political, economic, environmental, ethical and spiritual vision of human settlements based on the principles of equality, solidarity, partnership, human dignity, respect and cooperation…We believe that attaining these goals will promote a more stable and equitable world that is free from injustice and conflict and will contribute to a just, comprehensive and lasting peace. Thus proclaimed the representatives of governments at the Second UN Conference on Human Settlements — Habitat II — held in Istanbul, Turkey in June 1996. Yet these tasks do not depend upon governments alone, for the improvements of our homes, neighbourhoods and villages are activities in which all world citizens can be active in the spirit of Lewis Mumford whose birth anniversary we note on 19 October. 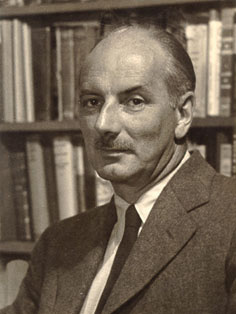 Much of the analysis of the positive potential of cities is due to the writings of the world citizen Lewis Mumford. 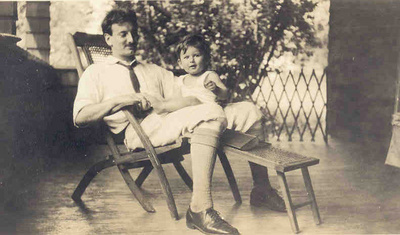 Mumford was active in the late 1930s and with G.A. Borgese wrote a Declaration on World Democracy in 1940 warning of the dangers of fascism and aggressive nationalism. Mumford was already well-known for his work on the history and role of cities with a series of books such as Technics and Civilization (1934) and The Culture of Cities (1938) aw well as being the architectural critic of The New Yorker magazine. Mumford was a student and follower of the Scottish urbanist Patrick Geddes, author of Cities in Evolution (1915), a study of urban civilization and its relations to the State and forms of political power. In continuing to build on Geddes’ work, Mumford became aware of the importance of studying urban phenomenon not only in relation to technological evolution but above all in relation to political and economic institutions. For Mumford, the primary function of the city is to transform power into form, energy into culture, dead matter into living symbols of art, biological reproduction into social creativity. And these positive functions cannot be carried out without creating new institutions capable of controlling the immense energies at the disposal of modern man. When the Second World War began, he turned his attention to the dangers of authoritarian values and the related dangers of nihilism with a series of important books which combined his wide knowledge of history and his concern with humanistic values: Men Must Act (1939), Faith for Living (1940), The Condition of Man (1944), and Values for Survival (1946). For Mumford, as a Citizen of the World, there is a need for a shift from a highly mechanized system to an organic one. This is a human, not a technical problem, and it admits only a human solution. He writes “The great revolution needed to save mankind from the projected assults against life by the controllers of the megamachine demands first of all a displacement of the mechanical world picture with an organic world picture, in the center of which stands man himself.